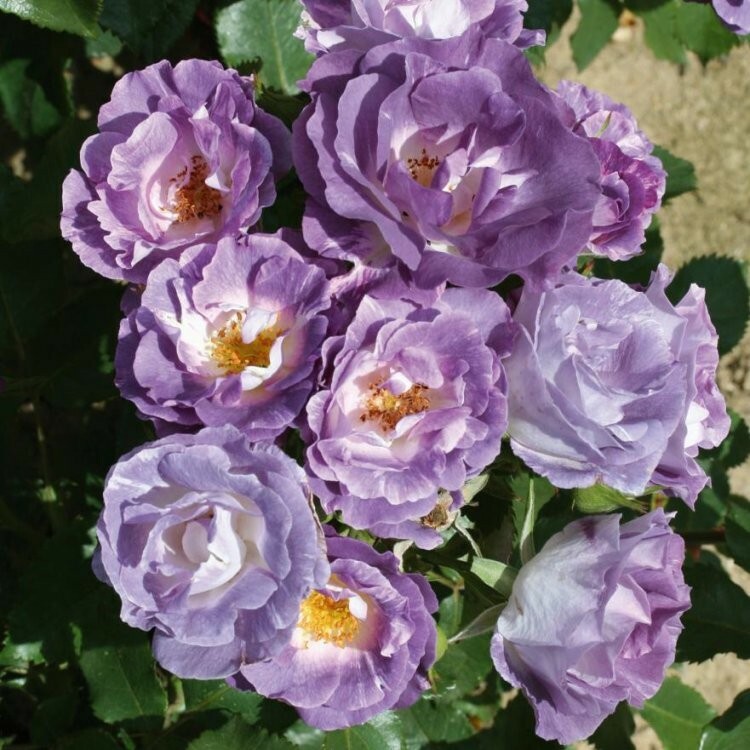 Rose Blue for You is a bush rose with unusual rich purple-mauve, semi-double flowers that fade to a startling slate blue. A Rose with a sweet fragrance and hints of violets, it is a very free-flowering healthy rose. Supplied in approx 5 litre containers.